Although short, the permanence of this warrior people left many traces in the country, as evidenced by archaeological findings preserved in its main museums. 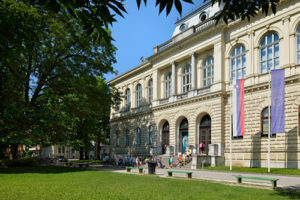 Visits to these museums characterise the stops on the Slovenian itinerary, starting with the Slovenian National Museum in Ljubljana, moving to the Kranj Museum, to the one in the Castle of Bled and finally to Šentjur Museum where you can admire the findings of the nearby archaeological park of Rifnik, the last and only “open air” stop of the route. The itinerary, stretching through most of Slovenia, also allows you to admire some of the most beautiful places in the country: the capital city Ljubljana with its Middle-European atmosphere, the breath-taking views of Bled and its lake, the uncontaminated nature of the eastern part of the country.